President Donald Trump and first lady Melania recently did something no other presidential family has done. They hosted a state dinner on Aug. 27, 2018, and invited the original spiritual counsel that surrounded Donald Trump before he ran for office. At the dinner, named Celebration of Evangelical Leadership, Trump promised the pastors and ministry leaders present that the government's attacks on faith communities are over. Televangelist Kenneth Copeland attended the dinner and shared his thoughts with me in an interview for my "Strang Report" podcast. "The first thing that happened was ... the president said, 'I want to hear from you,'" Copeland says. "'I just want a number of you to come up and take this microphone, and I want to hear your heart. I want to hear what you have to say." Once Trump realized he was in a room full of preachers, he quickly reminded them not to take too long. The pastors laughed at Trump's humor, but the dinner was no joke; Copeland says he could sense the Spirit of God in that place. "I'm telling you, the anointing was there," he says. "It was like being in a really anointed church service. Just the flow of the Spirit of God was just all over that." Copeland says the most significant thing about Trump's presidency is that he's doing things led by the Spirit of God. When someone in the room asked Trump what he wanted to be remembered for, Copeland says, the president responded, "I wanted to be remembered as the president who prayed more than any other." Of course, that's not the stereotype we see in the press. In fact, the press likes to play up everything in his past that was irreligious. But as Robert Jeffress has pointed out, Donald Trump may not be the most religious president, but he is the most pro-religion. 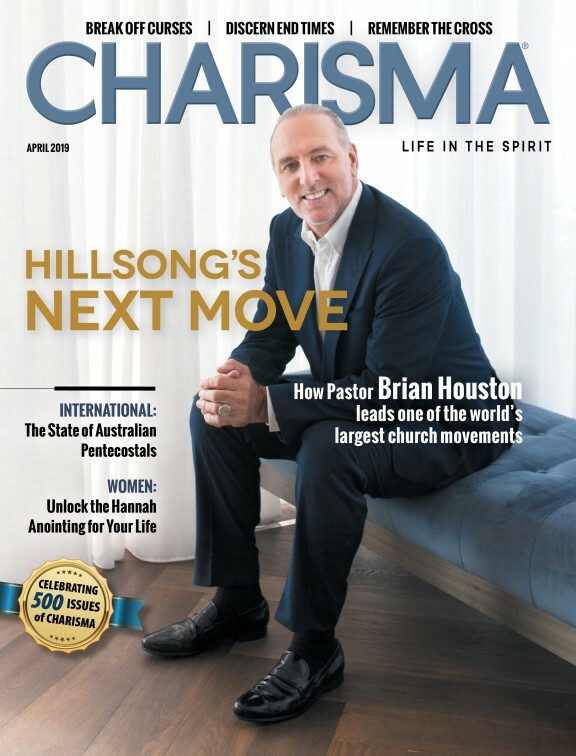 In many ways, he's become a champion for Christian causes. Just think of the ways he's stood up for the rights of the persecuted church overseas and for religious rights and free speech here in the U.S.
Copeland says one of the primary purposes for Trump being in office is to fill empty judgeships. He quotes Isaiah 1:24 and 26, which say, "Therefore the Lord, the Lord of Hosts, the Mighty One of Israel, says: Ah, I will get relief from My adversaries, and avenge Myself on My enemies. ... I will restore your judges as at the first, and your counselors as at the beginning. Afterward you shall be called the city of righteousness, a faithful town." The judges are the key, Copeland explains, and affect us even more than the president and Congress do. If Trump can fill empty judge seats with conservative voices, Copeland expects a biblical turnaround in this nation. "What [Trump] does over the next four years and then the next four years is one thing," he says. "But my goodness, you can change the landscape of this nation for a long, long time if you straighten all these judges out." Copeland believes that Trump is the right person to make sure that happens. He shares a story about something Trump did long before he ran for president. In 2011, Trump called Pastor Paula White-Caine and, after asking her some questions about God, asked her to gather several preachers to pray about whether he should run for president or not. Copeland says. "... Steve, they prayed for over six hours—just stayed on their knees and stayed before God for six hours." At the end of the prayer session, Trump asked White-Caine what she thought. She replied that she and the pastors praying with her didn't believe it was the right time for him to run for president. Of course, he waited until the next election to run, and won as a result. "This is the Donald Trump people don't know anything about," Copeland says. And that's one of the reasons I wrote God and Donald Trump and its sequel, Trump Aftershock. I share this story in my first book and document how God gave several charismatic leaders prophetic words about Trump becoming president. In Trump Aftershock, which releases Nov. 6, I show how much Trump has accomplished for Judeo-Christian values since he was elected. Although I don't sugarcoat the truth about Trump's past—and present—flaws and mistakes, I don't ignore how God has used him throughout his presidency. My goal in this book is to present the story of Trump's presidency from a Christian, journalistic perspective—a perspective I believe the leftist media largely overlook. To learn more about Trump Aftershock and even download a few chapters free, visit trumpaftershock.com. Click here to pre-order the book on Amazon, and be sure to listen to my interview with Copeland to hear more of his spiritual insight into what God is doing through Trump right now.